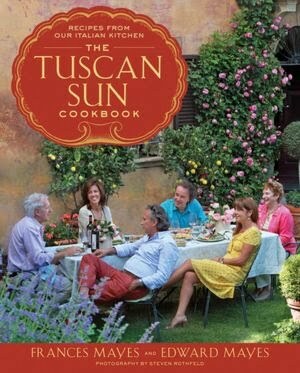 Frances Mayes, author of Under the Tuscan Sun, has published The Tuscan Sun Cookbook. I like it as a summer cookbook as the recipes call for fresh vegetables, herbs and seafood. I don't like that the beautiful photographs in the book don't have captions nearby. I like to know what I'm looking at. Still, if you liked the book or the movie, you might want to try some recipes from this book. Better yet, plan dinner and a movie, by making one of the meals featured in the cookbook, and watching the dvd.